Last week I saw a picture on instagram of a Snowdog – although it wasn’t the white fluffy variety we are use it. It was a technicolour large fibre glass model with kids hanging off of it. Instantly I was interested but I had no idea where the picture of was taken. 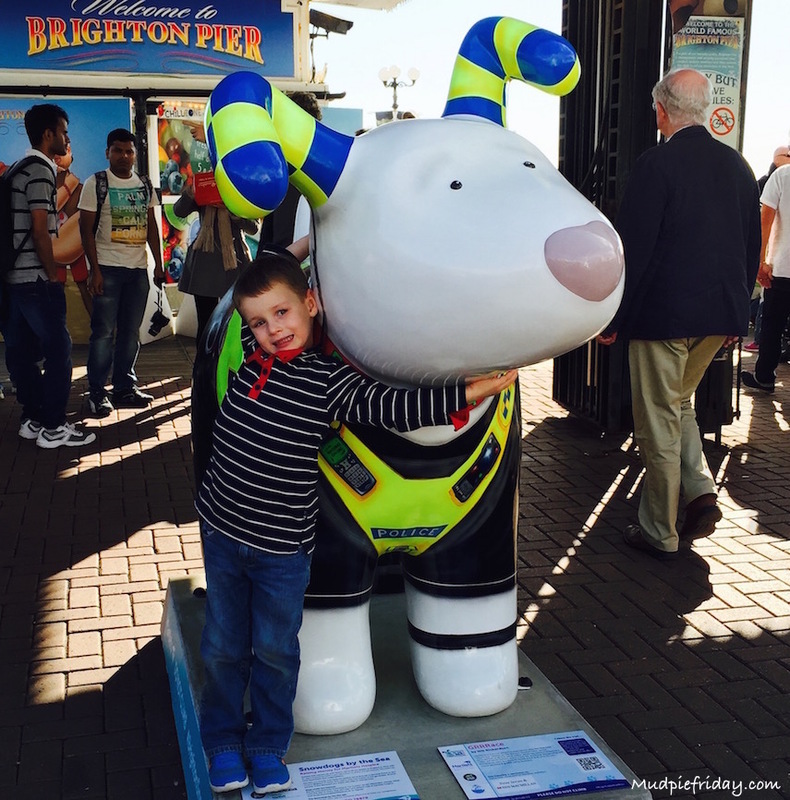 So when my little family was in Brighton at the weekend on a trip to one of our favourite haunts imagine my surprise when I see said snowdog on Brighton seafront. Monkey was fascinated as he loves the snowdog (I don’t know child that doesn’t). 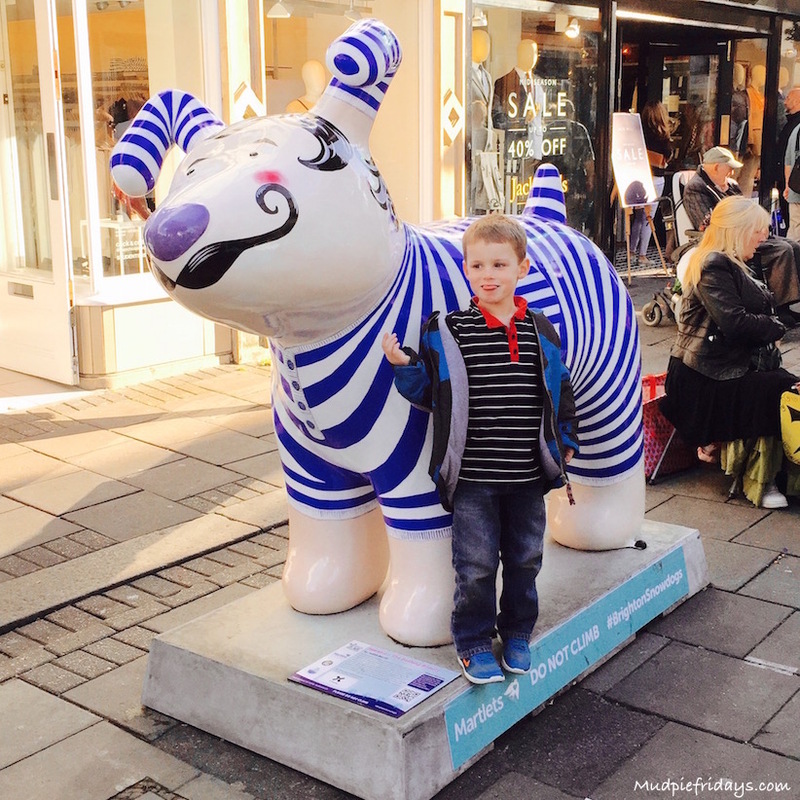 So although we were in Brighton to visit the Sealife Centre we did also pick up on the Snowdog trail too. Its a great way to get the kids out doors as the weather is starting to change, to do the whole trail in one day would probably be okay for older kids but for a four year old it would have been too much. However the dogs are placed at key locations around the centre of Brighton and the surrounding areas which means if you are in the city you are bound to come across a few without trying too hard. Naturally we now have the bug and want to find them all. Which I am sure in time we will after all its running from the 24th September to 27th November which gives us plenty of time. 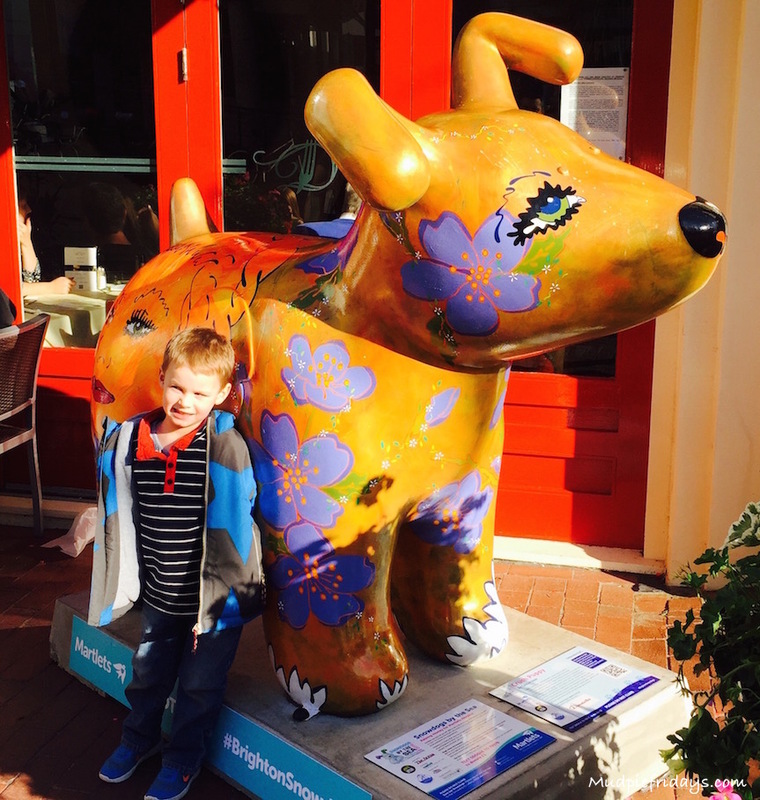 There are 45 snowdogs in total to find, plus their puppies which have been decorated by the local schools and being displayed in museums and galleries in the city. The range from the centre of the city, the Marina, to the station and in some of the larger parks. The trail has been designed to raise money for and promote the charity – Martlets. Which is a charity that cares for people living with terminal illness in and around the Brighton area. There are a number of events being held to promote the trail including sponsored walks, 5k run, open top bus tour and of course the snowdon auction where you can bag yourself one of the dogs on the 6th December. 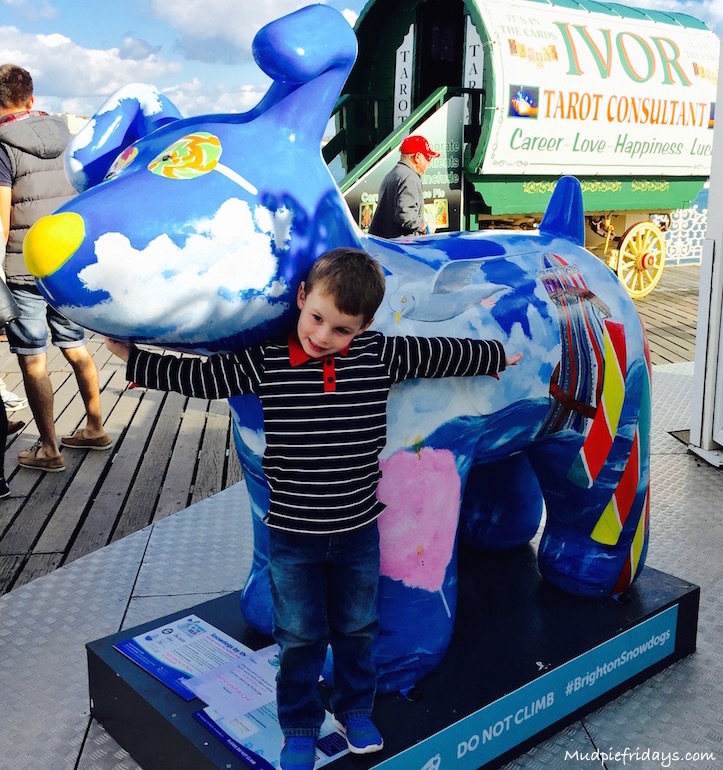 More details can be found the Snowdogs by the Sea website. You will need a map which we picked up at the Sealife Centre itself as they have kindly sponsored one of the dogs. Failing that you can download the free app. I wish I had realised this, if you take a picture of each of the dogs and ‘collect’ them all you will be entered into a prize draw to win a weekend in Brighton including an over night stay. I didn’t realise this straight away so we will be needing to revisit some of our dogs! If you can’t make it to see of the snowdogs in situ there will be a ‘farewell’ on the weekend of 3rd-4th December when all of the dogs will be brought together for a special family weekend. There will be lots of themed activities too – something we will hopefully be attending. So if like me you come across these four legged friends on your instagram feed, now you know all about it. Have fun collecting them all I am sure we will! How cool are those! I wish we lived close so we could check them out as well! My 3 year old loved your pictures and was very excited! I am a sucker for exhibitions like these. I have see hearts in San Francisco and elephants in a coastal town called San Clemente. 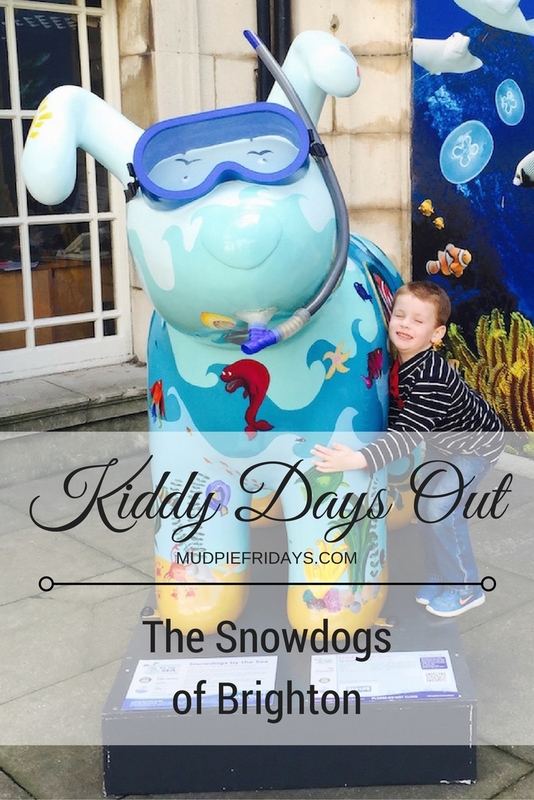 These snowdogs are so cute!